The subject matter in Marine Cargo insurance is goods in transit – (not necessarily on sales) … from one place to another. Marine Insurance is very deep and encompasses many captivating concepts – including Agreed value and commercial indemnity. Each Insurer in his wisdom, would have category of goods desirous of providing coverage and those which one would like to keep away. For the Underwriter there is eternal challenge of understanding the subject matter proposed, the risks associated with it – whether to cover it – if so, the terms and more importantly the rates at which they are to be underwritten. There regularly would be movement of people – translocating or on transfer … and alongwith them goes their personal effects too. Insuring household goods especially on ‘all risks’ terms presents many problems for the Insurers. Mostly there would be no inventory of goods that are being moved; there would not be individual values; there would be no proof of such values; most of these could be used ones and hence should not be provided new replacement as indemnity – thus drafting appropriate clauses modifying the condition of indemnity, second hand replacement clauses, building in condition of average etc., are the challenges. Besides there could be curios, artwork, precious stones, stamps and the like, which will pose not only Qs on the valuation but also at times on their genuineness and existence !! There may not be professional packing and could be handled by people not knowing the value and methodology in handling. The carriers too could be ‘not so regular’ private carriers. The Hindu reports that after putting up at 7 Race Course Road for a decade, outgoing Prime Minister Manmohan Singh moved into his new house at 3 Motilal Nehru Marg, a sprawling bungalow recently vacated by former Delhi Chief Minister Sheila Dikshit. 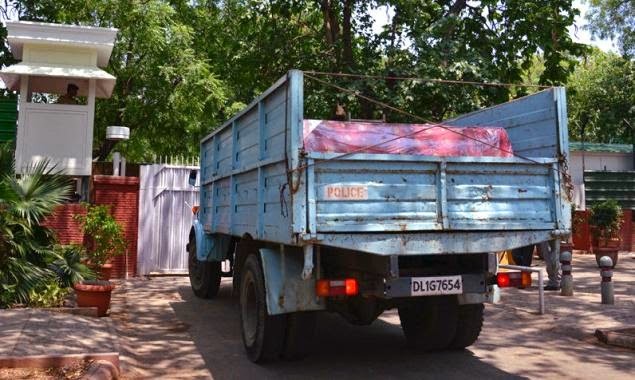 While Mr. Singh moved into the Type-VIII bungalow in the evening after attending the oath-taking ceremony of Prime Minister Narendra Modi, the bungalow witnessed a flurry of activity with trucks carrying household items into it till late on Monday afternoon. Earlier, personnel of the Special Protection Group had taken over security of the residence. While the security wing of the Delhi Police was in charge of security at 3 Motilal Nehru Marg when former Chief Minister Sheila Dikshit occupied the premises, the baton of security has now been passed on to the men in grey suit. Apart from security personnel, small changes have also been introduced in the bungalow, which also houses a nature trail. A small entry into the sprawling bungalow from the Janpath side, which was used as a gateway to camp office of the former Chief Minister, has been done away with. Instead a new reception for visitors has come next to the entry on Janpath.